Nov. 3, 2016 – San Diego, CA – Johnson & Johnson subsidiary Janssen Pharmaceuticals settled two lawsuits over its antipsychotic drug Risperdal last week, one just days before it was set to go trial in Philadelphia. Parties in the cases N.F. et al. v Janssen Pharmaceuticals Inc. et al. and Gunter v Janssen Pharmaceuticals Inc. et al. agreed to settle allegations the drug Risperdal caused both male plaintiffs to grow unusually large breasts, a condition known as gynecomastia, according to court docket entries. The parties did not disclose the amount of the settlements, which came four days before the trial for N.F. was set to begin on Halloween Day, and about one month before the trial for Gunter was set to begin at the end of November. Both trials had already been pushed back two weeks by plaintiffs and Janssen Pharmaceuticals, who filed a joint motion on Oct. 11 to continue the trials. Eight other cases in the Philadelphia mass tort program were also affected by the joint motion; the next trial is set to begin in December and the last trial in the series is now scheduled for April 2017. N.F. and Gunter are not the first Risperdal cases in this mass tort to be settled before reaching a jury. Janssen settled at least two other lawsuits for undisclosed amounts in May 2015 before they went to trial, including CW et al. v Janssen Pharmaceuticals Inc. et al. and Moffat v Janssen Pharmaceuticals Inc. et al. N.F.’s case would have been the first to go to trial since a $70 million verdict was handed down in July in favor of a boy who suffered from gynecomastia after taking Janssen’s Risperdal. That verdict was later increased to $76 million and Janssen has already filed an appeal with the court to overturn the award. Other verdicts to come out of the Philadelphia Risperdal mass tort include a $2.5 million verdict, a $1.75 million verdict and a $500,000 verdict, all handed down in favor of plaintiffs. 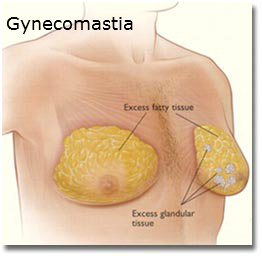 One other jury also found Janssen had negligently warned about the risks of Risperdal, but did not conclude the drug had caused the plaintiff’s gynecomastia. Roughly one week before Janssen settled plaintiffs N.F.’s and Gunter’s lawsuits for an undisclosed amount, it won a victory in the case C.W. et al. v Janssen Pharmaceuticals Inc. et al., also filed in the Philadelphia Court of Common Pleas. The pharmaceutical company filed a motion for summary judgment back in July of this year, which would have meant a victory for the company if presiding Judge Arnold New had granted the motion. 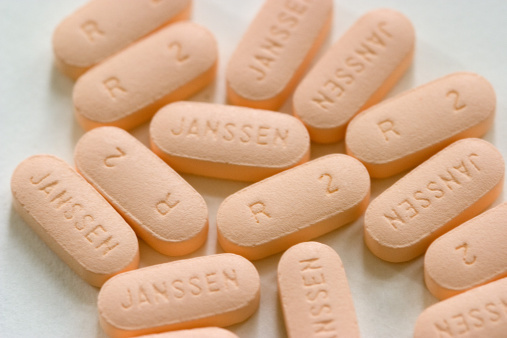 Judge New finally answered Janssen’s motion on Oct. 21 and granted the company’s bid for summary judgment, finding in favor of Janssen Pharmaceuticals before the trial was set to begin in November. The company has also filed a motion for summary judgment in another case, Z.S. et al. v Janssen Pharmaceuticals Inc. et al., which is set to go to trial in January 2017. Judge New has not yet answered the company’s motion in this case. There are currently more than 2,000 Risperdal cases tied to the mass tort program, according to a search of the Philadelphia Court of Common Pleas case listing. All of these lawsuits allege Janssen failed to adequately warn about the risks of its antipsychotic Risperdal, and plaintiffs contend they suffered from the condition gynecomastia as a result. Lawsuits against Janssen and its drug Risperdal continue to be filed across the country, including cases filed in the state of California, where a jury handed down a $5.6 million verdict in 2015 in favor of a plaintiff who suffered from fatal heart problems during the Risperdal clinical trials.